Can you tell us a little about your NaNoWriMo 2016 project? I find it really hard to talk about what I’m writing because I can’t bring myself to spoil the surprise, I know you need to be able to do this for pitching purposes, but I still struggle. For NaNoWriMo, I’ve picked up a story idea I’ve had kicking around for several years but never figured out the way into. Just to explain the photographs: My novel passes through a lot of share houses, featuring those kinds of surfaces and textures. How many times have you participated in NaNoWriMo? Although I’ve signed up before, this is the first time I’ve actually got going. How have you adjusted your regular routine for the month of November? I haven’t made changes as such, it’s more that I’ve ratcheted up my commitment by setting very specific (but achievable) goals. I set a goal of writing 2000 words per day with 1 day off per week, just in case. I figured out that on weekdays, if I got up fifteen minutes earlier, I could get an earlier bus and have an hour of focused writing at a cafe before work, instead of half an hour of maybe writing in my journal about – whatever. Before work, I usually manage between 600-800 words. Sometimes I get in another 200 or so at lunchtime, trying to get food in my mouth rather than on my keyboard. After work, usually after dinner, I write until I’ve met my target and finished what I wanted to write about. On the weekends, I cram writing in whenever I can. It is incredible how much you can achieve when you sit down and plug away at it every day. What made you decide to take the NaNoWriMo challenge? I’ve been working on the second draft of my first novel for what feels like a very long time – 18 months thereabouts – without feeling like I’m getting anywhere. I started to wonder how I would ever get to work on all those other novels I have floating around in the back of computer/brain/journals if I couldn’t get through this *swearword* second draft. NaNoWriMo was a good opportunity to put down the hard slog of editing/re-writing and pick up an idea I’ve wanted to play with for a long time – like a working holiday. A fun one. I also thought that the daily habit of writing those 50,000 words would improve my writing. There was an American photographer, Vivian Maier (1926 – 2009) who worked for forty years as a nanny and took photographs after hours and sometimes during her working hours. 17,500 negatives, 2,000 prints and 30 home movies were found after she died and they (well, probably not all of them) are extraordinary. I believe that good art is made through doing and doing and doing. Doing NaNoWriMo is establishing a good habit of writing and writing and writing. P.S. I do like my first novel. When I finish it, it’s going to be great. P.P.S. Google Vivian Maier, I don’t imagine you’ll sorry, there’s a story in every photograph. What do you like the most about NaNoWriMo? I’ve found the more I write, the more I want to write and the faster my ideas come. Doing NaNoWriMo has reminded me (because I had forgotten) of the FUN of writing. I love making stuff up and I love playing with words and if can make up a great story using a compelling arrangement of words then that’s a worthy way to spend my time. How has the establishment of NaNoWriMo influenced your writing habits? After NaNoWriMo, I think I will continue my hour-long session of writing before work. I often get far more done in that hour than I might in four hours on a weekend. Do you have any tips for NaNo newbies? Oh no! I don’t know what to write. Whatever will I write? I’m hungry. I wonder if my character is hungry. I wonder what they like to eat. Using Scrivener really helps with getting stuck too – you just start a new scene and keep going and all those bits and bobs are still there waiting for you in one neat location when you find out you really do need them. Also, don’t forget to stretch your wrists around and get up every now and then. Do you reward yourself for achieving your daily/weekly goals? If so, how? My plan is to reward myself with a new book for each week I meet my target. Last week I went to Scorpio Books aiming for a nice fat fantasy or SF novel and came home with a collection of Walt Whitman poems. His writing soothed my brain. This entry was posted in NanoWriMo and tagged interview, NaNoWriMo, our members. 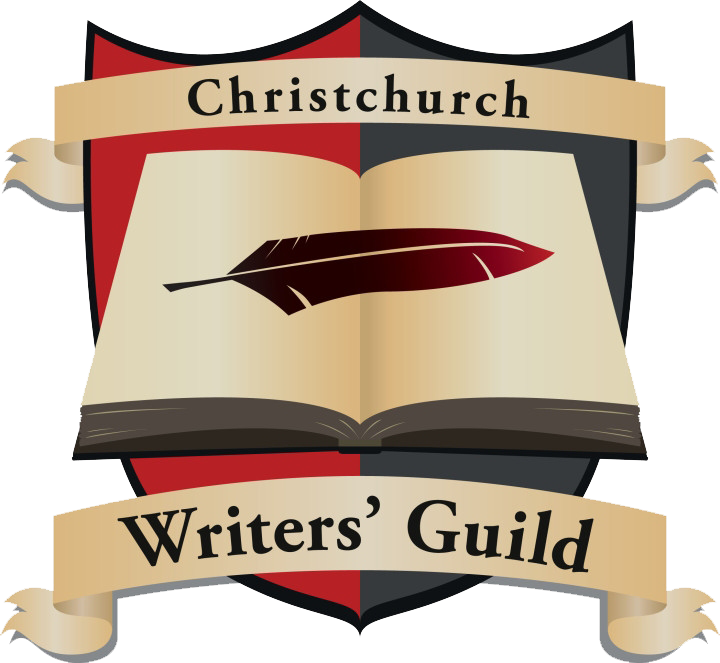 Today we are interviewing Shelley Chappell, a Christchurch writer who has been a member of the Guild since 2013. Shelley wrote her PhD on the motif of fantastic metamorphosis in children’s and young adult fantasy literature and has taught literary analysis at a variety of institutions. In her spare time, Shelley writes fairy tales and other fantasy fiction for all ages. She is the author of BEYOND THE BRIAR: A COLLECTION OF ROMANTIC FAIRY TALES (2014) and a number of short stories. Shelley, can you please tell us a little more about yourself (and your creative endeavours)? Sure! I am Christchurch born and bred and I love living here in New Zealand. I find nature very inspiring and the openness of the Canterbury Plains and the forested, hilly seascapes of Banks Peninsula have influenced my writing, as well as that feeling you get as a Kiwi of being at the very edges of the earth. I grew up curious, loving to learn new things, dreaming vividly, reading avidly, and longing to travel to all the wonderful places in the world I could only experience imaginatively. Once I did a little of that and settled back in Christchurch, it was a pleasure to go places again on paper and get back to my writing roots. I’ve been writing stories ever since I could pick up a pen and I’m currently working to complete several novels and short stories. I am very curious about your PhD topic, can you please explain to us a little about what it means? My PhD was on the topic of fantastic metamorphosis – shape-changing and magical transformations. I analysed this motif (recurring story element) in children’s and young adult literature to try to understand what messages the idea of metamorphosis conveys. For example, I looked at stories in which only children can change shape and explored how these stories imply that children are closer to animals and nature than adults and civilisation and that they have fluid bodies and identities. I looked at how many werewolf stories were representing lycanthropy as an inherited gene and how lycanthropy was therefore becoming a metaphor for race, and I explored how many selkie stories were using selkies (seals) and the sea as a way to symbolise a desire to transcend the limitations and constraints of adult consciousness. My PhD is available to read for free online at the Macquarie University library website. Has your knowledge of literary analysis affected your writing style? Yes, absolutely. I consider my undergraduate and postgraduate literary degrees as an apprenticeship in the craft of literature. For me, as much as writing is about simply loving stories, it is also about loving the craftsmanship of creating them. Being trained in literary analysis taught me a lot about how stories are crafted, and this has helped me to be intentional as well as instinctive in my writing. Has your knowledge of literary analysis influenced your reading habits? Not really. I have always loved genre fiction more than literary fiction. There are many brilliantly written works of genre fiction and understanding how the texts have been crafted can definitely enhance my reading pleasure, but mostly when I read I tend to get lost in the tale and not pay so much attention to the trappings. I can also be be a fairly forgiving and tolerant reader. If something about the story rings true, it will hold my attention, even if there are flaws in the telling. So long as I can find a character I like and something I want to find out, I’m going to enjoy the story, regardless of whether it has aspects that could use some refinement. What are some of your favourite books? And why? I love books with characters that I can relate to – especially girls and women who are psychologically real, with interests and perceptions that adhere to my own, taking on life’s challenges. I particularly enjoy stories about relationships, stories where characters face physical and social challenges, and stories where characters are trying to understand themselves and find a way to live well in the world. You have published a number of retold fairy tales, but with a distinctly unique twist. What draws you to rewriting fairy tales? I wrote a recent blog post on this so ideas about this are fresh in my mind! To sum up, I like having a loose story structure to work within, I enjoy the fun of changing and disguising the familiar story elements of the original tales, I love the shared language of fairy tales and the way fairy tales connect us to other readers and writers, and I enjoy plumbing new depths in the tales and finding fresh meanings. You took the independent approach to publishing your novellas. How did you find the process and would you recommend it? It took a little bit to get my head around the process at first, but once I figured things out it became straightforward and easy to reproduce. I wouldn’t recommend independent publishing to authors who are looking for a large (especially mainstream) audience, unless they are willing to invest in their own marketing campaign. But if you have a niche market or a story (or collection) that is unlikely to get picked up by a traditional publisher, then I think it’s a great way forward. As a young writer and a fantasist, I always hated hearing the advice that you should write what you know. If we only wrote what we know and have personally experienced then most of us would be writing very limited stories. My advice is to write what you would love to read. Write the story that would excite you if you saw it at the bookstore, the sort of story you couldn’t wait to get home and read. Write about characters you would like to spend time with and take them on adventures you’d like to know all about to places you’d like to visit. Most of all, have fun! This entry was posted in Our Authors and tagged fractured fairy tales, Guild members, interview. Jessica Colvin is a writer, artist, and mother of two from Christchurch, New Zealand. 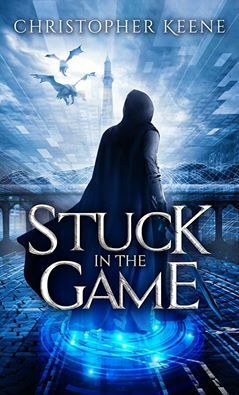 She writes under the pen name Ami Hart and lives in two worlds: one being post-quake Christchurch and the other is a fantastical place where dragons and space ships soar, sometimes side by side. Can you please tell us a bit about your NaNoWriMo history? How many have you participated in, and how many times have you succeeded? I started the NaNoWriMo journey in 2012 and haven’t missed a year since. I have also done Camp NaNoWriMo 6 times and met the word goal I set each time. As a veteran NaNo Writer, what are some of your previous stories? Liberty: The Fragile Empire, (Science Fantasy). Utopia Lost (Science Fiction), The Final Battle (Fantasy). All these novels are still in revision. Why do you regularly participate in NaNo? I liked the idea of the challenge and wanted an excuse to start the sequel to my first fantasy novel (still in edits). The forced deadline helps train me to be more productive as a writer. How much preparation do you do in advance? Not a huge amount. The characters and the world details form in my head, whizzing around helter-skelter, fluid and changeable right up to the point I start typing the first draft. Those few ideas I’m able to nail down firm I jot down in notebooks beforehand. Would you like to tell us a bit about your 2015 NaNo project? The working title is “Severed Wings/ Neon Dreams”. It’s an urban paranormal fantasy and is a collaborative project with my sister (she’s an illustrator). We were going to insert graphic novel elements/panels at the beginning of each section/ or chapter. The story is centred around an elderly woman named Sam. Sam is dying of cancer, unmercifully slow. She accepts her fate, believing it’s what she deserves after the type of life she’s led. In this final twilight stage of her life she receives an 11th hour visitor. She never gets visitors, people with redacted pasts rarely do. This visitor in question sets about changing her life, or rather, her death forever. The problem is Sam hasn’t known any other life and certain lethal habits are hard to break. Can you please describe your writing process; how do you fit NaNo into your daily routine? I write whenever I get the chance. Generally when the kids are at school, sometimes in the evening (although my brain usually closes up shop by 8:30). Occasionally I brave an early morning writing session in the hope that I might get some done before the kids wake up. I like to write uninterrupted for at least an hour. I only resort to outlining when I am stuck, even then they are brief, loose notes. I enjoy discovering the story as I write it—it’s much more exciting that way. Word sprints are my life savers, the 20-30 minute bursts can really get those words flowing. Do you have a preferred “writing space”? If so, what about it makes it ideal for your project? I have the office space in my room, but I like going out to libraries or cafes. There are often too many distractions at home, like animals, housework and baking. Do you have any tips or tricks for coping with writer’s block? Create a loose outline for the next chapter. If all that fails then I’ll skip the scene completely and go to a scene that I am excited about. Thank you Jessica/Ami! Best of luck with your NaNo 2015 success. This entry was posted in NanoWriMo, Our Authors and tagged Guild members, interview, NaNoWriMo. Chris Visagie is our “Quill”, basically, he’s the committee member that helps us to get things done. Both a writer and a reader, Chris has yet to share his writing with us (or with me, anyway), but I am eagerly anticipating his contribution to our next anthology. Chris, can you please tell us a little more about yourself (and your creative endeavours)? I was born in South Africa but moved to New Zealand with my family when I was seven. I grew up in South Otago then moved to Christchurch three years ago. I currently work in retail. While I did a lot of creative writing growing up, I took up writing fan fiction shortly after finishing high school which got me started on writing with the intent of having other people read it. That then inspired to me to start writing original stories. What are your preferred genre/s to write in? What is it that draws you to it/them? 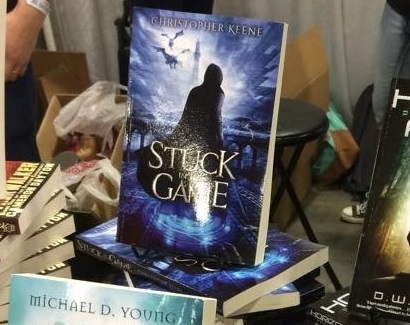 My preferred genre is urban fantasy. What draws me to them is the possibility and the characters that it inspires. The possibility lies in the fact that you combine the fantastic and the mundane. A wizard could have a nine to five help pay alimony to his faerie ex-wife, a vampire could have an image consultant, said image consultant could be a vegan werewolf. There is just so much story telling potential. While my stories are set in modern times, I draw a lot of inspiration from Classic lore and mythology. Growing up I was a huge fan of Greek mythology and loved the Odyssey. What do you enjoy the most about the writing process? The ability to explore ideas and concepts and see where they lead. Proof reading, even though I know how vital it is. Any particularly pitfalls you have learned/would like to learn to avoid? Spending too much time on the planning stage. For all the virtues of planning it is very easy to end up spending too much time in your head and never getting anything done. How has being a writer influenced your everyday life? Being a writer means that I tend to look at the world from a more contemplative stand point. I examine situations I observe more closely and at the same time think of how a slight variation would have changed the situation. It also makes waiting in queues and bus stops less tedious because I usually have a story idea I’m working on to amuse myself with. How has being a member of the Guild influenced you as writer? It has put me in touch with a lot of creative people to share ideas with as well as find a social aspect to what can be a very isolating passion. Can you please tell us a little about a project you are working on at the moment? A current project I’m working on is about Daniel Loxley, a professional “Problem Solver” situated in the City of St Giles. People come to him with problems that he tries to solve. He does this using his connections, wits and the occasional use of his powers as a partially turned vampire. But when the daughter of the District Attorney is found drained of her blood and her body placed on display in some sort of ritual, tensions start to rise between the magic users and the vampires. Now Daniel has been hired to make sure the ones responsible are stopped before anyone else is hurt. Add to this the return of Daniel’s sire and you’ve got a problem that perhaps even he can’t solve. The best advice I can give other writers simply put is to sit down and start writing. As simple as that seems, it so easy to spend so much time in your head planning the “perfect story” and never getting round to writing it. Also, it often won’t be until you’re actually writing the story that you notice faults you hadn’t previously considered. Also when trying to flesh out a character, an exercise that I think helps is to create a scenario and that you place the character in and then figure out how the character would respond. For instance, in keeping with urban fantasy, your character in a dinner having breakfast when suddenly a zombie bursts in. What would you character do. Would hide under table and try to crawl to the exit? Would they pull out a gun and try to shot it? Would they pull out equipment to examine it? Would they just say “Hi John” and then get back to eating breakfast? Now these scenarios don’t have to be this outlandish. The point is just that figuring out how your character would respond to various situations will help you figure out who your character is. Lastly I would say to write what you enjoy writing. For all the pleasure there is to be had, writing a story is long, tiring and there will be times when it feels more effort than it’s worth. If on top of that it’s a story that you don’t find some joy or passion in telling then it’s going to be infinity harder to get it finished. As nice as the idea of writing a story that a million people would want to read is, start with a story that you would want to read. This entry was posted in Our Authors and tagged committee, interview. Every time I see you, you’re drawing another creature of nature. This is obviously a part of your creative process. Tell me, where did this love of animals begin and how has it influenced your writing? I can’t really say precisely where my love of animals began, because I’ve been fond of them as far back as I can remember. I imagine my parents (who gave us bunnies and a kitten) and my nana (who would take me to feed the ducks), had a strong influence. Birds were a particular passion, and I persuaded my parents to let us keep parakeets, including the construction of three aviaries. To date, most of my stories have contained at least one animal. Some are written from the animal’s point of view, in others they are a major component of the plot. I have strong conservation views, and wish to educate the audience (I tend to write for the 10-14 age range), increasing awareness, without (I hope) coming across as too preachy. With all these wonderful characters that you draw, how many of them actually make it into your stories? Which was your favourite to bring to the page? Which was your least favourite? I have a main core cast of characters that I have illustrated for years. Many of them I have created detailed background stories for, but for the most part these stories remain in my head (slowly slipping away). Of my recent illustrations, I have mostly been concetrating on wild animal illustrations. It is hard to say who my favourites and least favourites are – but I find humans a LOT harder to draw, and thus mostly encourage other people to draw them for me. 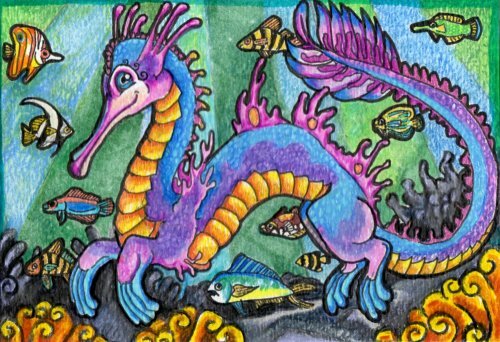 I’ve never written Rhapsody’s story – or even developed it particularly far – but I do love the gentle flowing lines of her, and creating a dragon based on the leafy sea dragon was fun. My least favourite to draw are the frightening ones. Not because I dislike frightening stuff, but because I cannot do it well. Everything I draw comes out looking somewhat whimsical and cute. You were one of the original founders of The Christchurch Writers’ Guild. Tell me, how did that come to be? It all began in Paper Plus, Hornby, when I came upon Beaulah’s book, picked it up and thought “oh look, another local author who has published through CreateSpace”. I took note of her name and looked her up when I got home, acquired the ebook (apologies to Paper Plus and Beaulah) and emailed her. She replied, we met for coffee and got discussing writing in Christchurch. At that point, there didn’t seem to be a particularly involved social network for writing, I’ve later learned that I just wasn’t looking hard enough, but we decided that we would begin one, starting with the community on facebook. Writing is a lonely business, and can be quite discouraging when you struggle to finish, become overwhelmed by the editing process, then finally you finish it and don’t know what to do with it after that… Well, our idea was to bring writers together to read and review each others’ work, to encourage and enable those that wanted to write, and connect like-minded people. I really love the sense of community we’ve got going within the Guild – the fact that many of us meet outside of the regular gatherings, and that I have formed genuine, long-lasting friendships. When you cannot talk to your spouse, siblings, parents, or friends, about writing, then you can turn to the Guild. The Guild has morphed into something much greater than those original days. How do you feel about that and where would you like to see the Guild head in the future? It’s a bit scary being an official incorporated entity! But, honestly, I don’t want to see it change too much. I would like to see more anthologies – especially encouraging participation from those members that may be a bit reserved about sharing their works – and perhaps a “shared world” series. We did some workshops early on, and I hope that we can re-commence them again soon, given members pratical exercises and inspiration to continue with their craft. Many new writers among the Guild seek you out to read and/or edit their material. What advice do you often give to new writers? What advice would you give to those of us not so new? For new authors, my main piece of advice is to write, just write! Even if it’s rubbish, just do it. “Don’t get it right, get it written,” as Barbara Arnold, my writing for children tutor, says. I enjoy reading “new” manuscripts, the freshness of something that has not been edited into sterility. However, there are a few things that I would change if given the opportunity. It’s very easy to spell-check a novel, however, spell-checker does not find homophones. And auto-complete can substitute the intended word with something that not only makes no sense, but is frankly hilarious. I have yet to read a novel written on a cell phone using autocorrect, but imagine that would be a nightmare. My advice to writers is: before anyone else reads your novel, read it yourself first – from cover to cover – and keep an eye out for misused words. Every time I come across one of those words, it is like I have been slapped out of the plot. It ruins my concentration and switches me from reader mode into editor mode. Otherwise, try and get the grammar as correct as possible. It doesn’t need to be perfect – a beta reader will always expect a few typos – but you want your readers to pick up on plot holes and discrepancies, not become distracted by mentally stabbing in commas and full stops, tracking down errant apostrophes or taming wayward semi-colons. Back to your writing: what do you see of the next step for you? Will we ever get to know what happened to your lemurs? I’ve been thinking about writing again a lot. Many of you may be aware that I’ve been in a writing rut for most of 2015, having barely written anything fiction. 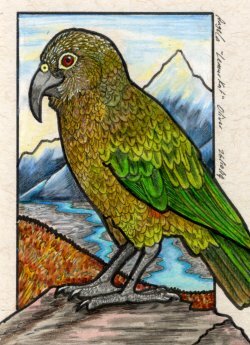 Part of this is my animal-a-day project, which includes drawing specific creatures for NZ Art Cards (coming soon to an independent bookstore or DOC i-site near you, I hope!) and general slump. The second novel in the series, “A Tail of Two Scions” is a dual-char book, following Rakoto and Aurelia. Rakoto’s side of the story is pretty much done, but Aurelia’s is proving to be a struggle, mainly defining the conflict and keeping it structured. And then I have to interweave the two. I did re-read the third draft of Aurelia’s beginning and feel it’s pretty good, really, and I should just soldier on with the darned thing. So, the answer is YES. And my animal-a-day project will be finishing early next year, so I can concetrate fully on writing once more. And just for the fun of it: if you could be an animal (other than human), what would you be? I know you expect me to say a lemur, but I think, instead, I would like to be a parrot. Long-lived, intelligent, with a handy appendage for manipulating objects (their beak) and, of course, they can fly. But what sort of parrot? That’s an almost-impossible question, but I would rather fancy being able to turn into a kea. 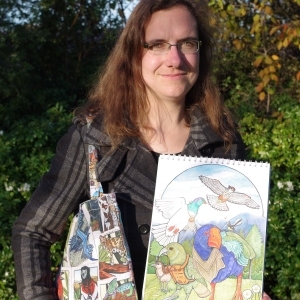 Angela has written and published three books via Amazon’s CreateSpace program and is currently involved in drawing an animal-a-day on her blog: ZooTrophy. She has also created a collectible trading card game about ecosystems and food chains. This entry was posted in Our Authors and tagged Angela Oliver, committee, interview. 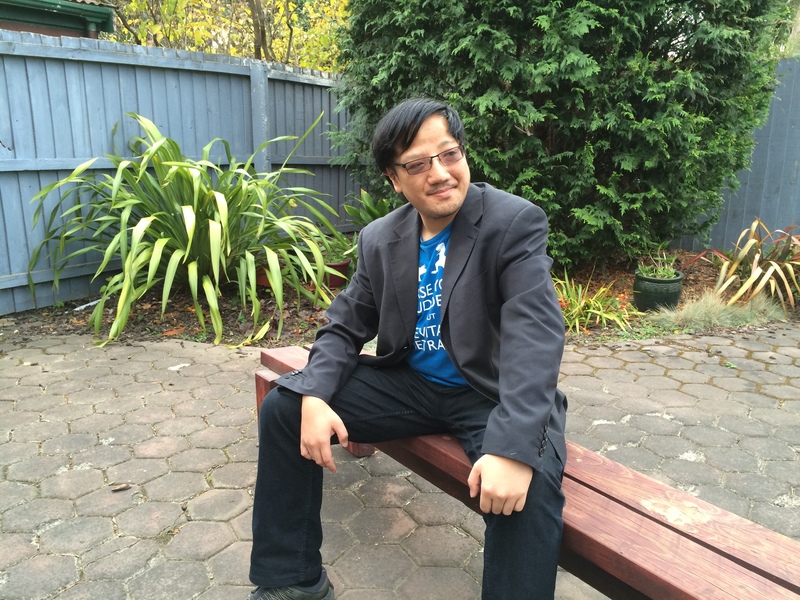 Chris Yee is our Treasurer. 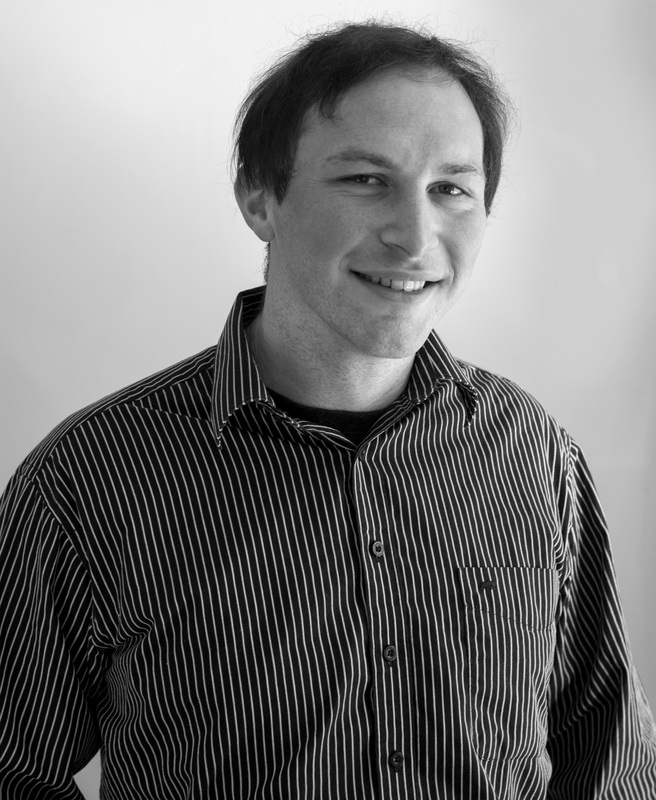 He has studied animation and worked as a game developer. 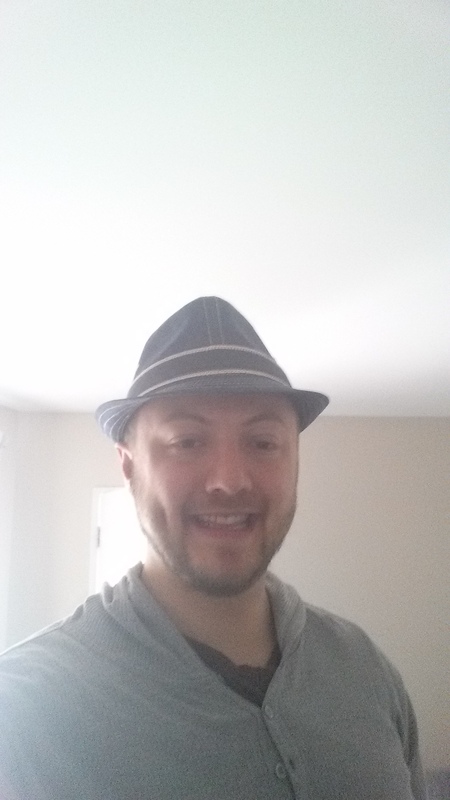 Currently he tutors at the Yoobee School of Design, and for the Imagination Station (Lego!). He also, of course, writes! As mentioned, I teach Film, Video and Animation at ACG Yoobee School of Design, though to say my creative endeavours are restricted to motion graphics is a bit of a misnomer. Storytelling for me has always been an ongoing endeavour. I would probably go so far to say that it is something humans have had since the dawn of time, but I digress. While perhaps being something I’ve been doing for a long time, it was by no means a successful one as yet. I am quite bad at coming to conclusions, finishing off the story in a satisfactory way. I’ve read various literature in my youth, ranging from Sci-Fi notables such as Carl Sagan and Michael Crichton, to really cheesy titled books such as ‘Only You Can Save Mankind’, which ironically may have been my first introduction to Terry Pratchett. When the only storytelling ended up being in the form of mostly schoolwork, which at the time to me felt greatly restrictive, it took a back seat from the remainder of my studies. Then, sometime in 1999, I was approached by someone on ICQ (yes, this was THE chat messenger in those days), offering what was best described as text based role playing in the vein of a Star Trek theme. Intrigued at this I signed up, going through the processes and protocols of IRC (Internet Relay Chat, effectively real time forum chat rooms) and just fell in love with it. It was essentially being an actor, a screenplay-writer and a director all at the same time. Improvisation was key in being able to work with the stories created by the person in charge of running the Sim (short for Simulation). For a number of years I forged lifelong friendships and somewhat improved my ability to tell stories in a dynamic atmosphere. This real time, present tense scriptwriting eventually moved on to a past tense prose as it moved to a non real time format which has pushed my motivation to write in this way. A few years on I had become intrigued at the growing market of digital film-making, applying and studying at Natcoll Design Technology (now Yoobee School of Design) in 2006. Studies into the practical application of storytelling in a audiovisual medium helped me gain an understanding of how these aspects enhance written media in general, pushing me further to create fun and engaging stories. My road to writing has been a rocky and tumultuous one, but I still keep going with the help of friends and family who support my endeavour, and while I still regard this as a casual activity, I know it will lead to something greater. Game development was an amazing experience. 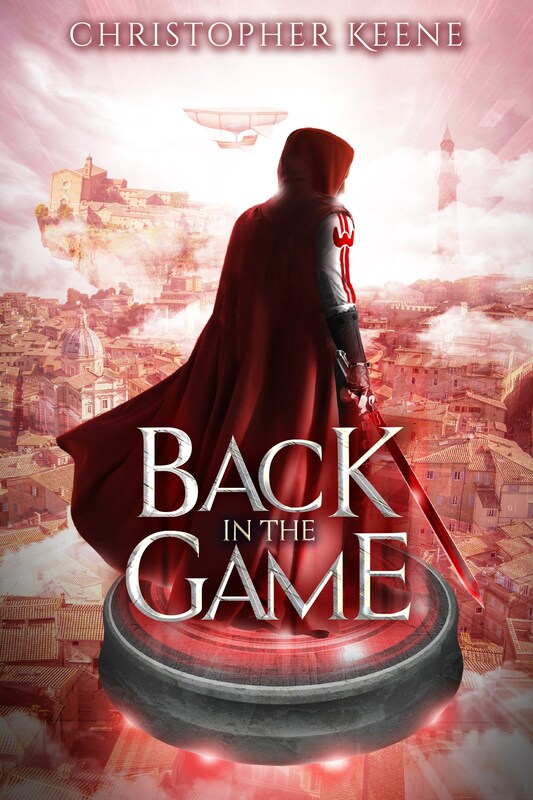 While I was brought on solely as an Artist, I moved up to the role of Technical Artist, in that I had to deal with technical and programming issues to ensure that the art side of things were consistent in the vision of the game producer. If not, then I’d find ways to get it working. Problem solving and analytical processes were something I was known for, and typically aren’t traits a creative artist possesses initially. It was sad to move on from this, but it has lead to other opportunities and can be something I can always return to. Recently, at least this year of 2015 I had been approached to teach Stop Motion movies using Lego for the Imagination Station based in Christchurch. This was quite an engaging endeavour as it put two of my favourite things together (Film and Lego) to help kids of all ages explore storytelling aspects in a visual format as well as teaching them to understand some technical aspects of film-making. While teaching at Yoobee has now taken up the time I typically had for teaching at the Imagination Station, this has expanded significantly in teaching material with others taking up the mantle and I fully expect it to continue amazingly in the future. How does telling a story via visual media (such as animation) differ from telling a story via written media? The way that visual media communicates ideas and concepts lies in its delivery. While written media communicates various ideas over time, movies for instance provide additional depth to it in the form of an audiovisual sensory experience. In a lot of ways this can condense a lot of the material given; a lengthy descriptive exploration in a book can be represented by a brief scene of imagery in a movie. A conversation between characters is now enhanced by their body language, their tone of voice, and the cinematography. In short, this application of storytelling opens up a whole new realm of artistic expression. Structurally, they are no different; they more often than not have a three act structure, with inciting incidents, rising tension, a climax, falling tension, and denouement. These are the core aspects that make up a good story in any form and will most likely never change. When writing for the visual, how do you portray a character’s personality? Personality aspects in a visual medium can, at base level show up in their expressions, their body language and typically how they compose themselves in any given situation, as from a film-makers perspective, actors have to be able to portray any personality the writing and direction call for. Their appearance, clothing etc can be great visual indicators of their base personality, but that’s all surface and in most cases can only communicate where they’ve been. Who they really are, their past, their experience goes so much deeper. Good thing though, when indicating in a script you can actually say ‘Bob is sad’. It’s up to the actor or animator to interpret this based on the context and scene and express these emotions accordingly via body language and facial expression. Scriptwriters have to be as concise as possible as they cannot fill the script up with endless description. The only section you can go to town on is Dialogue. What genres do you prefer to work in? Who/what are your inspirations? Science fiction has always been my staple, but I have been toying with other genres to see if I could do them. Two Science Fiction authors that I’ve been a fan of for a long time are Peter David and Dan Abnett. They write in a way that feels real, as in they’re not all super human types, just normal people thrust into a particular situation and deal with it accordingly, be it war, politics or the pawns of gods. For Fantasy, I still have my sizeable collection of Terry Pratchett. The dry humour is what caught me, and following along with the vein of ‘ordinary people caught in extraordinary situations’, I’ve been more interested in the Nightwatch story arcs, as well as other stories based in the City of Ankh Morpork. Can you tell us a little about your writing processes/habits? If you ask any writer, they will typically say they work in complete isolation, absolute quiet and zero distractions. I can work just fine with two of those, and ignore the distractions, unless something really interesting is being discussed. By that point however, the writing time has been sunk but it is often not without knowledge gained. I much prefer writing in the company of others, preferably other writers so as not to leave others in a non communicative state. Noise of all sorts, whether random music, cafe banter, or even a bustling airport terminal, I can easily zone all these sounds out to a indecipherable hum. However, I require these random noises, possibly to occupy my auditory senses so that the rest of my brain can focus, akin to distracting the attention starved child so that some amount of work can be done within an allotted time. I will say that Scrivener has helped with my organising of my story materials immensely. For those that don’t know, Scrivener is a piece of writing software that aids in providing structure to various projects. I don’t spend too long on this process at the start, but it does help keep story, research and other bits & pieces separate, whilst at the same time having them easily accessible for reference. And of course, nothing starts the process better than a steaming cup of fresh coffee. How do you go about creating the worlds that your stories are set in? Worlds, strangely enough, are one of the first things I start creating as it helps me understand what sort of events and characters will exist. In most cases, at least to date anyway, I create worlds that work for humans as well as any other races and/or alien life forms. With this in mind, a traditional Earth type, terrestrial world works. If this is early on in the story arc, then visualising set pieces to fit the story works for me as a lot of the world isn’t fully formed at this point, so I can be as flexible as I need to be if they help move the story forward. But as I expand the story, I develop town names, cities, nations, politics and so on. These things which I set in place, I make note of in my research files so that my world can remain consistent the more I reveal about it. Whether I describe an entire mountain range for the sake of blowing it up (and seeding plot points for later stories), developing an industrial society, or simply describing the onset of a magical infection that can transform life into something more terrifying, I take great care in cataloguing and integrating these moments and changes as the stories progress. What advice do you have for anyone who might wish to create their own short animation, game or book trailer? Have a plan. A good story, while having at minimum an outline, can be as flexible and random as anything. However the technical aspects that go behind the construction process of telling said story has to follow a good, solid plan if there is a deadline to meet. From concept to storyboarding, visual cues and even interactive prompts help guide and give direction to the material, so that all aspects are cohesive. With games, you take on board the story elements and integrate them smoothly with the gameplay elements. While some of the most popular games out there alternate between these two, it is in my mind not the best way to tell stories within a game environment. To use it effectively, the player not only has to be a part of the story, but also help drive the narrative and be invested in the actions they choose to take. This is a long and arduous task for a developer, which leads me back to how you must have an effective plan and solid research into the application of sensory experiences for animations and trailers, and interactivity for games. All this aids in seamless integration into the art of storytelling. Oh and one other thing; have fun while doing it. If you’re not having fun creating it, then you probably won’t enjoy reading, watching or playing it either.